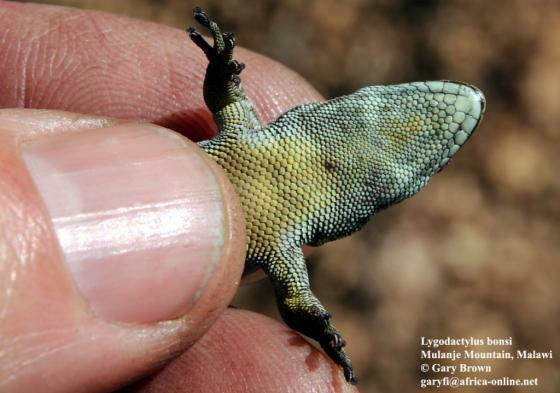 Can you confirm these amateur observations of Lygodactylus bonsi? 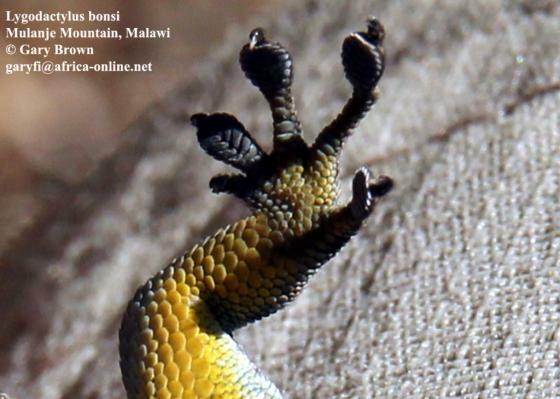 Type locality: Mulanje Mountain, Malawi. FitzSimons, V. 1958. 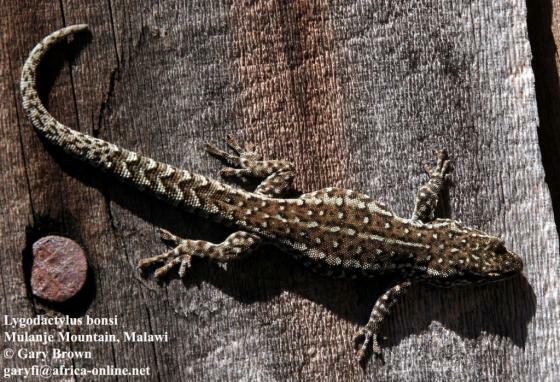 On a small collection of reptiles and aniphibians from the Inyanga District, S. Rhodesia. Occasional Papers of the National Museum of Southern Rhodesia, 3:204—214. Lisle, H.F. de; Nazarov, R.A.; Raw, L.R.G. & Grathwohl, J. 2013. 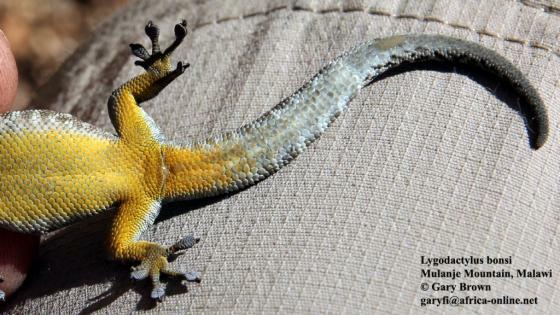 Gekkota: a catalogue of recent species. [type catalogue] Privately published, 387 pp. Pasteur, G. 1962. Notes préliminaires sur les lygodactyles (gekkonidés). II. 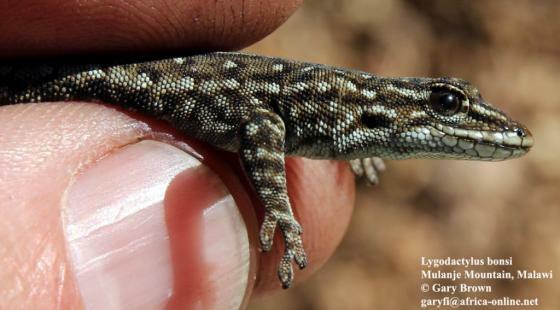 Diagnose de quelques Lygodactylus d’Afrique. Bulletin l’Institut Fondamental d’Afrique Noire, 24 :606—614.